It seems I shot a photo of an Eurasian treecreeper, that’s at least what I found out during my research and when I compared the results with my photo. I saw this kind of bird quite often since I am in Reinfeld. I usually see them near the pond at the trees, and it almost looks like they run up trees. 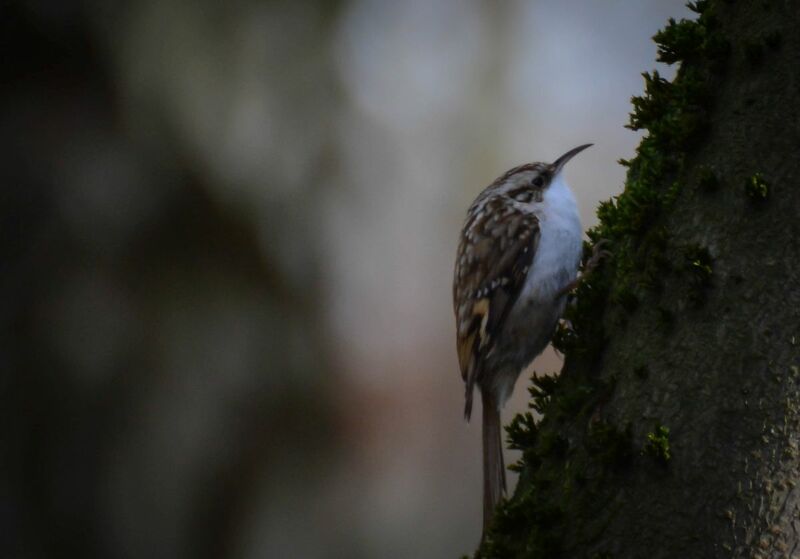 If my research is right, then it would fit, because the German name for the Eurasian treecreeper is “Waldbaumläufer”, which means something like “Forest Tree Runner”, literally translated. As said, they really run up trees, and I wouldn’t even call it climbing. They are pretty cute in my opinion. These birds are common in Idaho too. They are indeed cute as they run up and down a tree. They eat bugs and tree parasites that live into and under the bark. It’s a very cute bird! I think we have a variety of creeper here but I’ve never seen one run up a tree. It seems like they would be a fun bird to watch!